Bug Bistro. Yup, that’s what I said. Get your edible bugs right here at Next Millennium Farms’ own Bug Bistro. Eating insects has never been more delicious or easier for you to start or continue doing! We have a bunch of different flavors for you to choose from: honey mustard,barbeque, sea salt and pepper, fire and brimstone and Moroccan spice. You can also choose between crickets or mealworms. 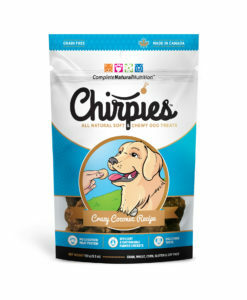 If you’re not sure if you prefer crickets to mealworms, or the other way around, you can try our assorted snack pack which gives you both crickets AND mealworms, and a sample of all the flavors. 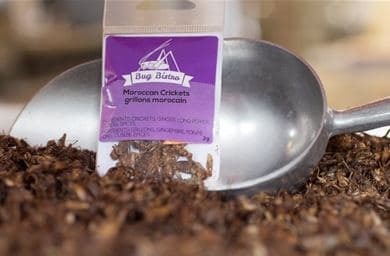 With the assorted pack of 6 2 gram bags, you get barbeque, fire and brimstone and sea salt and pepper mealworms, and Moroccan, honey and mustard and barbeque crickets. 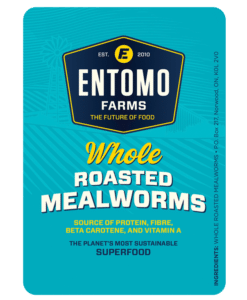 All the insects are cooked to perfection so they are crispy and crunchy, which makes them the snack that you want to reach for at any time of day- pre or post workout, the mid-morning nibble or the 3:00 pm snack attack. 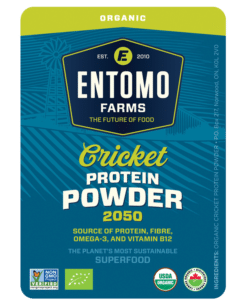 Chock-full of protein, essential amino acids and iron, these cricket and mealworm snack packs from Bug Bistro can be enjoyed right out of the pack and down the hatch, or sprinkle them on your favorite salad, burrito, or sandwich. The other cool thing about this snack, is that for those of you who have fussy kids, who barely eat foods with protein and iron (mine were like that for many years, and it used to drive me absolutely crazy), your kids will absolutely love these- they’ll be their new favorite snack, and you’ll always say, “yes”, because they are nutritious, delicious, and low in calories and fat. If you’ve never tried eating insects before, this is a great way for you to get started. Don’t be scared. You’re doing yourself (and the planet) a favor. This entry was posted in Blog, News and tagged Bug Bistro, buy crickets, eat bugs, eat crickets, eat insects, Entomophagy, insect protein, insects, mealworms, NMF News and tagged bug, This entry was posted in News.